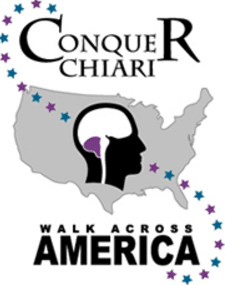 The Annual Conquer Chiari Walk Across America is set for September 23, 2017 at WV State University beginning at 8:30 a.m.
Chiari Malformation is a serious neurological disorder where the bottom part of the brain, the cerebellum, descends out of the skull and crowds the spinal cord, putting pressure on both the brain and spine and causing many symptoms. 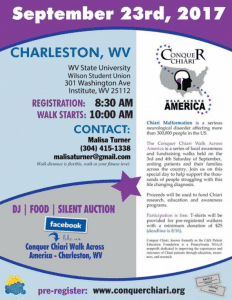 Click here to register for the walk. 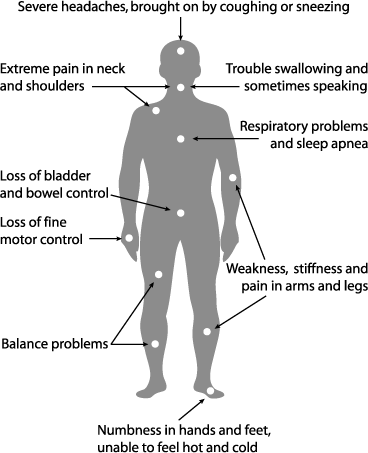 Registration is FREE, however a $25 donation is recommended. Call Malisa Turner for more information. 304-415-1338.